Disney is all set to give a tough competition to the streaming platforms like Amazon Prime and Netflix with one of its own. Named Disney+, the OTT platform is set to go live in November 2019. The first official line up of the fresh content that will be available there has been revealed by the makers. 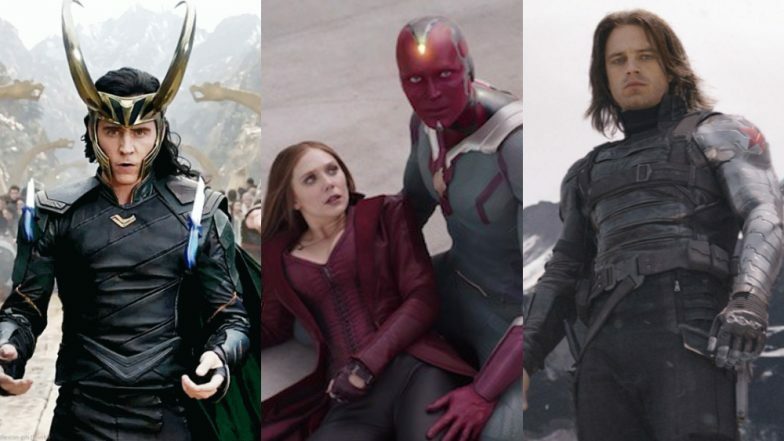 There is a lot of content for the fans of Marvel Cinematic Universe and Star Wars. There is not just one or two but multiple limited web series that have been ordered based on the two movie franchise. Also, a piece of big news for the fans of High School Musical is in store at Disney Plus. Avengers: Endgame Pre-Sales Zoom-Past Aquaman, Star Wars: The Last Jedi, Avengers: Infinity War, Captain Marvel Pre-Booking Records. Disney Plus has been in the making since August 2017, as per reports. Kevin Mayer, Joe Earley, Ricky Strauss, Agnes Chu, Michael Paull will be the top bosses at the company. Avengers: Jeremy Renner to Star in Standalone Hawkeye Series, Kate Bishop to Take Over His Legacy? Marvel's The Falcon and the Winter Soldier: Anthony Mackie and Sebastian Stan reprise their roles from the MCU as Falcon and Bucky Barnes/Winter Soldier for a limited web series. Loki: Ok. Can you believe it? There is a whole web series based on Loki that is set to come out with Tom Hiddleston reprising his role. We wonder if this one will be a sequel or a prequel to the MCU. WandaVision: This one will be the love story of Wanda and Vision with actors Elizabeth Olsen and Paul Bettany reprising their roles. The series will only come out much later though and not with the launch. Marvel's What If: Now, this is the web series we are the most excited about. The series will explore what would have happened if the events in the MCU had not been as they were. For example, an episode will explore the possibility of what if Peggy Carter was injected with the serum instead of Steve Rogers. In the Star Universe, there is a prequel to Rogue One with Diego Luna coming back for her role. Star Wars: The Clone Wars, the animated series is being revived at Disney Plus. And Star Wars: The Mandalorian is set after the events of the Last Jedi. Also, there is a web series on High School Musical titled High School Musical: The Musical is in works, if that is your thing.